CEO Anthony Casalena says learning how to operate efficiently and not throw money after a problem as been a central component of his company's success. Anthony Casalena knows what it is like to be the sole engine powering your business. He started website platform Squarespace from his dorm room at the University of Maryland in 2003 after being frustrated with the existing options that were available to him. He wanted to make a beautiful website that was representative of him but found that he kept having to toggle back and forth between different tools -- blogging and design software, stats and analytics and web hosting services -- to make one simple product. Seeing the gap in the market, he decided to make a platform that would bring all of these disparate elements into one place. 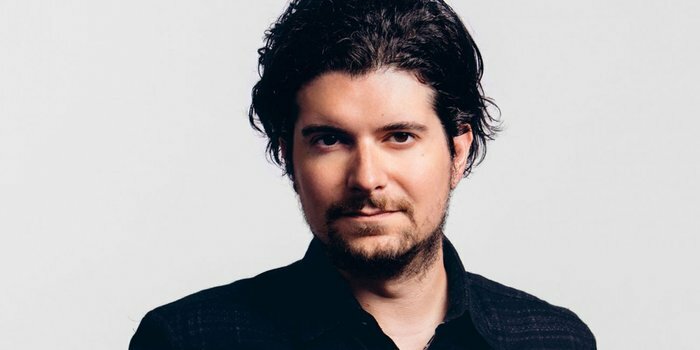 In 2004, with $30,000 borrowed from his dad, Casalena officially launched Squarespace, and over the last 13 years, the company has grown steadily, raising $38.5 million in 2010 and $40 million in 2014. There are currently over a million paid customers on the platform, and more than 5 million websites have been created with Squarespace. We caught up with Casalena to ask him 20 Questions and find out what makes him tick. Most days, I wake up without an alarm. I like to embrace my body's organic rhythm with respect to sleep. I try and avoid fixed routines in any aspect of my life, and mornings are no exception. My only fixed morning routine is that I try and clear out as much email as possible in the morning when interruptions are much rarer. It's important I keep to inbox zero as much as possible, so I don't create bottleneck situations for the team at Squarespace. Like I mentioned, I don't have many set patterns or routines. In the evenings I might have a social engagement, late work, exercise or head home early and put on some HBO. It varies from day to day, and I like that. My schedule is so complex that it's hard to really commit to a fixed timetable. It also feels repetitive and I'd rather be able to freely commit my time to whatever I need to do. Thinking Fast and Slow by Daniel Kahneman. Everyone assumes that they are rational beings, but we are all irrational in many ways that we're completely oblivious to. Learning more about how the brain makes decisions, and more about our inherent biases, really makes you wonder about your own decision-making process. Keeping this in mind, I try and slow down certain kinds of decision making in order to get to the best results. I like The Man who Mistook his Wife for a Hat by Oliver Sacks. It has a similar exploration into the inner workings of the brain, though a bit more morbid. I'm constantly removing clutter -- both physical clutter in my work/home environments and mental clutter that can come from interruptions, apps and a world of news feeds. There's always a cost to context switching, and it takes a while to get into a focused state. I've made a conscious effort to remove the pattern of checking my phone habitually. I barely use social media and haven't had most social apps on my phone in years. Spending only a handful of hours on Facebook over the past decade has definitely had a positive effect on my well-being. 6. When you were a kid what did you want to be when you grew up? Why? I used to play too many video games as a kid. At one point, I wanted to be a video game tester, so I could get access to games before anyone else. It's probably a good thing that that never happened. My life priorities have changed a bit since I was seven. Luckily, I don't think I've ever had what most would consider a bad boss. I have been in places where the leaders changed their minds too frequently or spread the company across too many diverse initiatives. That led to problems in a startup I was working for when I was younger. I've learned a lot from the hires at Squarespace that didn't work out. Learning from these situations has helped reshape how we hire and how we think about success in various roles. This especially helped me early on, where I frequently hired for certain skills I thought I didn't have, even though they were skills I needed to learn to become a better leader. Conversely, I neglected to hire for certain roles that I really needed due to a complete blind spot in how I was thinking about our business. These situations drastically changed how I run Squarespace today. I'd say it was an early trip I took to New York while I was in high school with one of my best friends. We stayed with his sister and she showed us around the city. It made such an impact on me, and I knew I had to live here. Growing up in Maryland, so many of the experiences you can have are limited to big chain brands. It was amazing to see unique new takes on every topic and industry imaginable, all in one place. The diverse styles, tastes and energy of New York is really special. I'm always inspired by our customers. We have a Slack channel where employees can share notable Squarespace customer sites they run across, and they never fail to blow me away. From neighborhood restaurants to national movements to people just taking a chance on a new career, I'm always so inspired by the work and the originality that people choose to share with the world through our platform. I'm not sure this counts as a business idea, but my mom had a toy store when I was growing up. One of the things they sold were Magic: The Gathering cards. I was obsessed with the game, so I would open the card packs and sell pre-built decks in the store. I used that money to buy rare cards on eBay and got better at the game. I still have my old collection stored away somewhere. They're worth a lot of money now! My very first job was as a projectionist at my local movie theater. Back then, you had to load huge reels of film onto platters that would then go through a projector to play the movie. The projectors were always breaking, and sometimes, the film would pile up on the floor and it would take hours to fix. I would of course get in trouble for this and I thought that was incredibly unfair, since it wasn't my fault that the theater had faulty projectors. I eventually accepted that I really could have been checking things more frequently and that things were more in my control than I thought they were. When you run a company, you have to take the mindset that you will be held accountable for anything that goes wrong -- it's your responsibility to get the whole thing right, and excuses just don't matter. I'm not sure it helped me start my business, but I think the piece of advice I go back to frequently is pretty simple: Enjoy it. It's important to stop and celebrate wins along the way before moving on to the next challenge. You don't want to wake up one day and realize that you worked your entire life and never stopped to appreciate anything that may have come from what you've accomplished. I disagree with many VCs who encourage people to raise as much money for their business as they possibly can during each funding round. I've actually tried to minimize the amount of money we've raised for the business, not maximize it. We've operated the business very efficiently as a result. That mindset has forced us to be operationally efficient and has helped avoid situations where we're throwing cash at a problem that actually requires time and people to fix. I try and keep inbox zero. I hit it pretty frequently too. I really recommend everyone try it -- just archive any mail you don't need to act on. I use the Squarespace Note app to email quick notes or tasks to my inbox. I use my inbox as my to-do list, so this eliminates the need for me to have a separate app for my to-do list. I've never really approached work as something I need to finish or complete to get back to life. At the same time, I've always prioritized having a diverse set of experiences in life, which leads to a natural balance between Squarespace and everything else I'm doing. Break out of your daily habits and switch up your patterns. We often walk to work the same way or eat at the same restaurants, and generally fall into a predictable routine. Go somewhere different, take a different path to work, eat at a new restaurant, take a trip, etc. It's far too easy to fall into routine. I'm learning to manage my time effectively at each phase of Squarespace's growth, and I'm making changes to how we run the company to continue to operate at scale. The way we operate and how I engage with an 800-person team is very different from how I did things at 200 or 50.